As a fourth generation firefighter, I was practically raised in a firehouse. The firehouse was and will always be one big family. There is a code and a bond that all firefighters live for each day. We run towards danger. We save lives. We are invincible. Except we are not invincible. The physical and emotional demands that we put ourselves through bring a toll. Ignoring this problem is like allowing a forest fire to burn unattended. It is only going to get worse. It’s time we adopt a culture that makes it okay for a firefighter to ask for help. Early in my career, I developed some personal issues. And had helped not been forced upon me, I would have ended up as another statistic. There has been 108 documented suicides in 2014 that we know of. Alcoholism and substance addiction are estimated to affect around 20% of firefighters nationally. 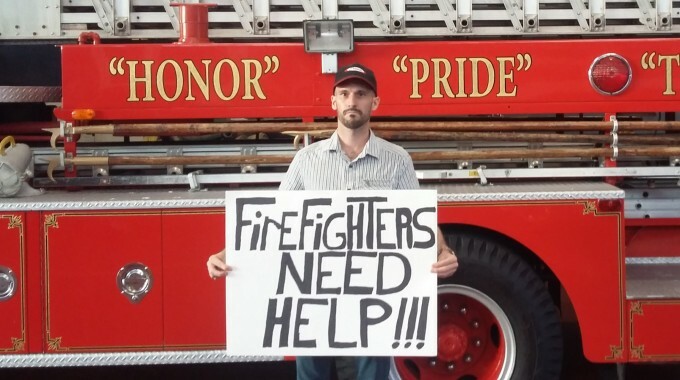 Over the past five years, I have made it part of my career to help create awareness for this problem, and to get firefighters the help that they need. Earlier this year, I partnered with Station House Retreat, a program that treats firefighters and first responders completely separate in their own facility with their own treatment. It’s the only one of its kind and totally geared for the issue first responder’s face. So what can you do to help your fellow firefighters? Go back to your departments and ask your HR, EAP, and union reps what they are doing to ensure that members of your fire department are getting help. If you know someone in your department who has a problem, make sure that he gets it. If you don’t know who to talk to, give us a call and we can help you. And finally, share this message with other firefighters in your department and online. The biggest step to addressing any problem is awareness. Let’s move towards a modern firefighter culture that makes asking for help among the bravest actions that a member can make.